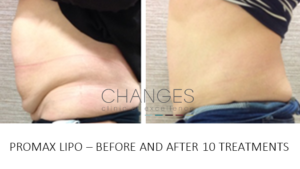 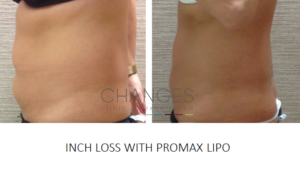 Our most popular treatment in the clinic, is Promax Lipo suitable for Fat Loss, Inch Loss, Body Sculpting, & Skin Tightening. 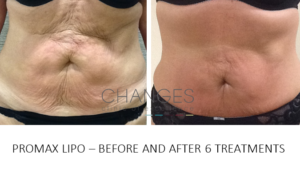 Treatments are suitable for both men and women. 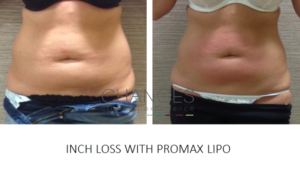 Scroll down for before and after images. 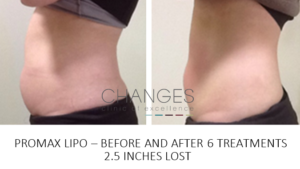 The combination of 3 advanced technologies Ultrasonic Cavitation, Radio Frequency, and Vacuum Suction makes this a sought after treatment for areas of stubborn fat inc. Tummy, Thighs, Bra Line, & arms for our female patients and Moobs (male chest), Stomach & “love handles” for our male patients.